As we end the year and prepare for the dreaded 2017, I must thank you for reading my weekly musings on the pressing Asian American issues of the day. Based on your clicks, the election and general representation issues were among the most-read columns of the year. 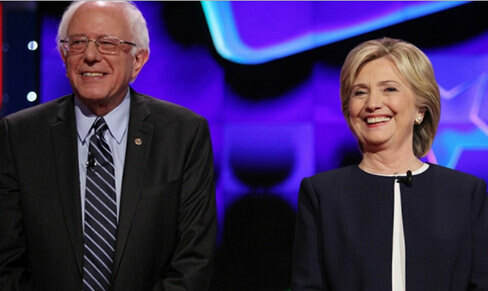 Leading the way was a piece on Bernie Sanders beating Hillary Clinton among Asian Americans in a California-based Field Poll conducted in June. This campaign season, Asian Americans were presumed to be pro-Hillary all along. Yet the poll showed how soft Clinton’s support was among the most Asian American electorate in the nation. Among all voters in the state, the two candidates were tied, but California’s Asian Americans definitely showed a preference for Sanders. The No. 2 and No. 3 spots on 2016’s greatest hits list were columns on Asian American representation in our pop culture world of TV and movies. In an interview with Vincent Rodriguez III, I talked to the “Crazy Ex-Girlfriend” star who as Rachel Bloom’s love interest has become the first Filipino American romantic lead in a prime time network series. It’s still an under-recognized breakthrough for people who usually show up on TV as chauffeurs and houseboys. No. 3 was my review of the annual Oscars telecast that had a record number of Asian American low points. 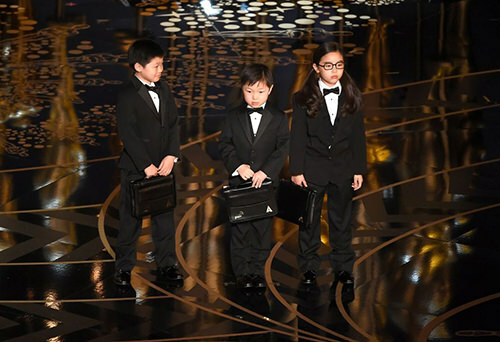 We’re not in any award-winning movies, but we sure were targets on the show, including the tasteless use of cute Asian American kids to perpetuate multiple stereotypes. My visit to my alma mater, Harvard, finished at No. 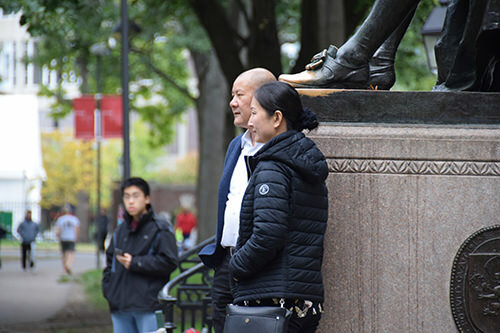 4, as I focused on how the school had become more Asian over the years, accepting a record number of Asian Americans to its latest freshman class. The issue of affirmative action remains a hot topic among Asian Americans, despite the fact it was hardly mentioned during the election campaign. My post from 2015 about California’s failed attempt to restore affirmative action continues to be a highly clickable post even in 2016, enough to rate as No. 5 on this year-end list. Coincidentally, this past week, social media lit up when Fox News’ Tucker Carlson decided the holidays were a good time to tweak Asian Americans on the issue of affirmative action. On his show, Carlson took aim on the lawsuit that 60 Asian American organizations have joined to end affirmative action at Harvard. If you didn’t see it, Carlson went one-on-one with Jay Chen, an affirmative action supporter and a trustee of Mt. San Antonio College near Los Angeles, Calif.
Chen’s also a Harvard alum. It was a civil, yet disingenuous, debate in that Carlson, like the anti-affirmative action advocates behind the lawsuit, misrepresent a Princeton study as a cornerstone to make their discrimination case. But do Asian Americans really have to score 140 points more than whites and 450 points more than African Americans on the SAT to gain admission to Harvard, and does that really prove discrimination? Even the Princeton sociologist who did the study says it doesn’t prove discrimination at all. Meanwhile, Carlson can’t answer when Chen said that 60 percent of Harvard is white, and they get in while scoring lower than Asian Americans. “So by their own logic, the ones taking the most spots from Asian Americans are the white students, and yet they never want to go down that path for discussion,” Chen said in the podcast. Bottom line, Asian Americans, mostly recent immigrants with no connection to the civil rights battles of the past, are being used by the white attorneys hell-bent of ending affirmative action for all. Get on the right side of the issue. Listen to my conversation on affirmative action with Jay Chen: part 1 and part 2. Finally, here are a few posts that to me go right to the heart of 2016. One is on the stunning election finale. A column on Philippines President Rodrigo Duterte, the Trump-like Asian leader who has made his mark for offensive bluntness, is one of my favorites. 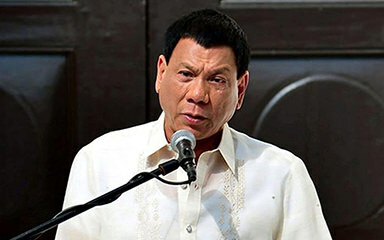 Duterte has admitted to killing suspected drug dealers and taking fentanyl for pain. He sees himself as the resurrected dictator Ferdinand Marcos. But the column from 2016 that still strikes a chord was a piece on President Obama’s last State of the Union address last January. Reading it a year later made me sad. Obama reminded us how good things have been since the dark times of 2008. But he warned us about trouble ahead if partisanship outduels patriotism and gets the better of us. We had a whole year to figure it out. The American electorate just couldn’t figure out how to do the right thing for all of us. In spite of that, we have to hope for an energized 2017. We’ll need it in order to stay posit ive as we face the battles to come. So let’s end 2016 on a humorous note with help from the comedian Greg Proops, known for “Whose Line Is It Anyway?” as well as his “Smartest Man in the World” podcast. He’s a fellow San Francisco Giants fan and will be ringing in the new year at the Punchline in San Francisco. Now that will be something to look forward to.